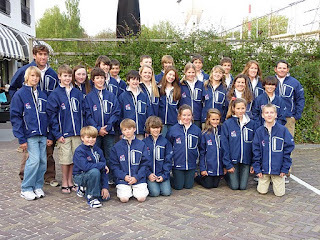 Four LISOT sailors Matt Logue, Cooper Yeager, Charlotte Leclue and I (Meg Gerli) along with 20 other sailors from all over the country traveled to the Brassemermeer, Netherlands to represent the United States in the 2011 Magic Marine Easter Regatta. After hearing about past conditions from last year’s Easter Regatta, the U.S. team was expecting cold weather and heavy winds. We all packed our dry suits and heavy weather gear, but ended up being able to sail in long pants and under armor. Over the course of nine days, there was a high temperature of 79 degrees and a low of 64. We all returned home with glowing sunglass tans! After four days of practice and a lay day, we were anxious for the regatta to begin. 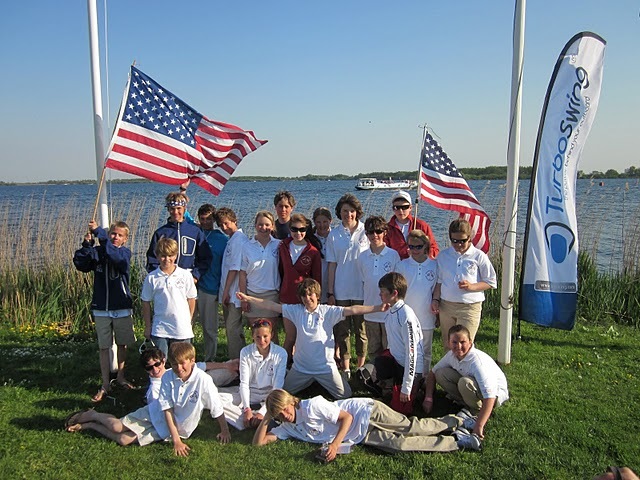 There were over 240 sailors from over 10 different countries competing in the regatta. With a late start on Friday, we got off two races in the afternoon. The race committee went directly to Black Flags in some cases but none of us had been affected so far. Although many of us struggled with the shifty wind conditions of the lake, we all stayed confident and rested up for another competitive day of racing to come. On Easter Sunday, the wind conditions were too light for racing, so we were postponed on shore. This free time gave us a chance to socialize with the sailors from other countries. We even, gathered in a big group and sang songs, like Yellow Submarine! At around 4:30 the sea breeze filled in and the three fleets were each able to compete in one race. 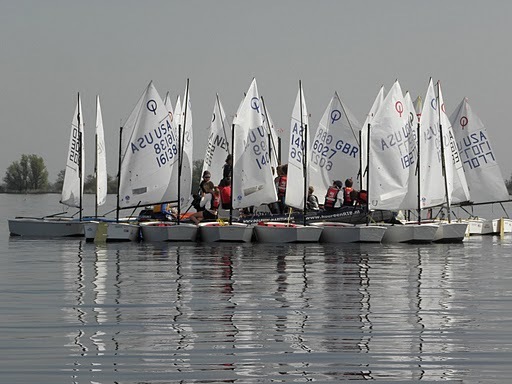 After day 3, the sailors were divided into gold, silver and bronze based on scores from the first 6 races. The U.S. had 6 sailors in gold, 12 in silver and 6 in bronze (final results). There were two races on the last day with the U.S. team bringing home 4 glass eggs (the trophies) - three in silver and one in bronze. 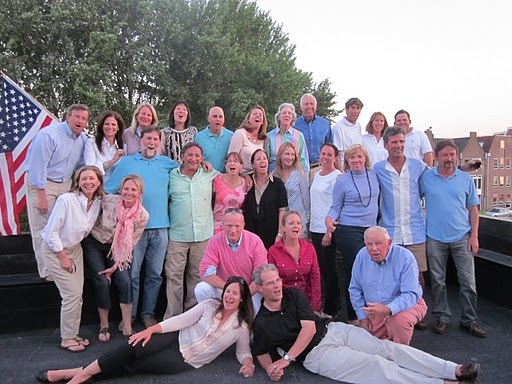 On the last day, after swapping gear with all of the international competitors, we enjoyed a delicious team dinner at a wonderful gate house called Portal. 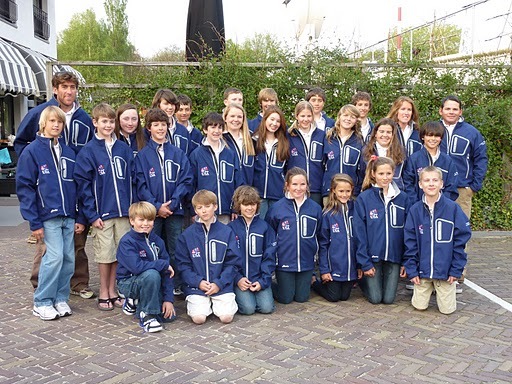 Throughout the course of our time in the Netherlands we had multiple team dinners, went go carting, and had a lay day. On our lay day the team traveled by bus to Amsterdam. On our way we stopped at a clog factory, cheese factory and visited an antique windmill. Each sailor chose a clog and one of the mothers kindly offered to paint the Netherlands flag and 2011 Magic Marine Easter Regatta on each one. Later, we took turns signing each other’s clog to keep as a memorabilia of our trip. While in Amsterdam we went on a bus tour of the city and a boat trip in the canal, visited Ann Franks house and finished up with two hours of free time to shop and explore. Our coaches, Juan Carlos, from Ft. Lauderdale, Florida, Nico Winogard, from San Francisco, CA, and Justine O’Connor, from Miami, FL were amazing. They gave each and every one of us good pointers on how to understand the wind shifts on a lake and always made sure we were staying hydrated! After every day the coaches would schedule a meeting were would talk about the conditions from that day. Over the course of our trip, every sailor got along with one another and at our final team dinner we all exchanged numbers and emails to keep in touch. We thanked our parents for taking us on this long journey, as we know that without their support we would have never realized this wonderful opportunity. Personally, for me this is a memory I will never forget. I can’t think of a better way to finish my days of opti sailing!